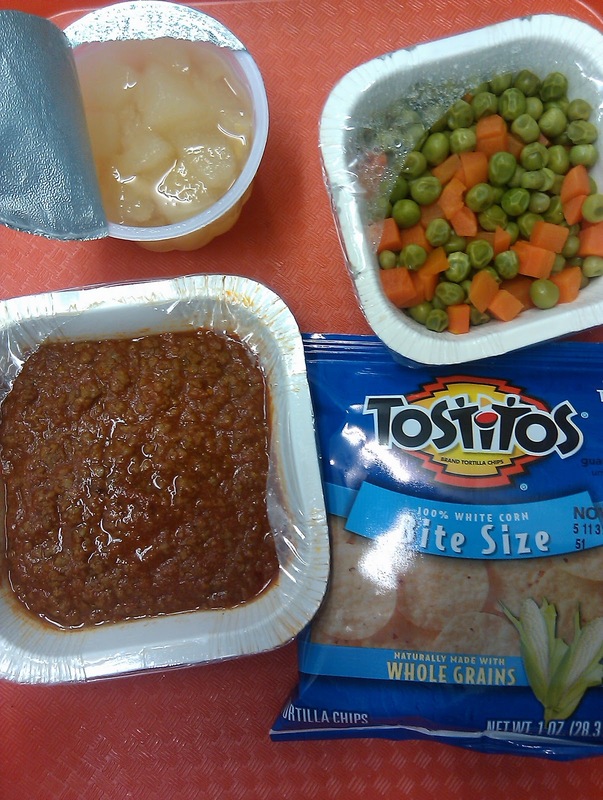 Day 126: taco meat and a lunch lady’s new adventure! So this lunch *could* be practically gluten-free. I don’t have access to the ingredients, but if it’s just taco meat without fillers or “natural flavors” (which might contain gluten), the chips are 100% corn, the fruit cup doesn’t have wheat, and neither do the veggies then this lunch could be gluten-free. I think it would be powerful if school systems could provide lunches like this more frequently because people don’t need to eat gluten at every meal. I have gone gluten-free outside of school lunch. It’s going great! You know, I feel a difference in my waistline. I never even thought I was bloated before but now that I’m not eating as much gluten as I was eating, I feel really good. I have completely lost the sense of urgency to run to the bathroom. That alone is a nice improvement. I think that’s a good sign that I some kind of wheat sensitivity. The taco meat may look bad, but it’s most definitely better than some of the other stuff I have eaten (bagel dogs, cheese lasagna, rib-b-ques, etc) . It’s top on my list actually. Yay for edible food! 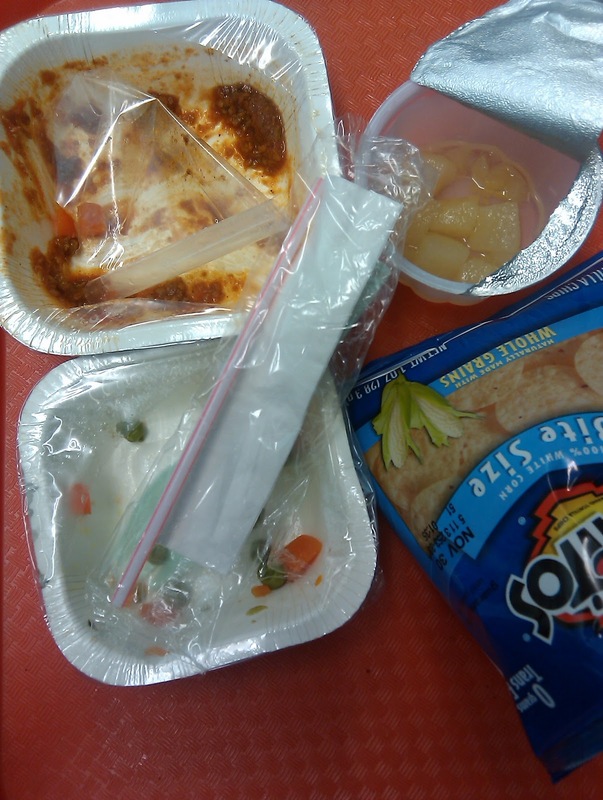 The Titanium Spork Award for September goes to…..
I’m now the director of food service at my school and I’m trying to change lots of things even while we’re short 25% of our staff. Not much time to blog but that will change soon. I recently entered a food truck competition run by the city of Boston. They’re looking for new food truck concepts that emphasize sustainability, local-sourcing and healthy foods. These are all things I believe in and have learned much about in my school kitchen. It turns out that I’m now finalist in the competition. I’m an under dog as I’m the only finalist without an existing truck or food business. The competition is steep, and part of the contest is a round of online voting. My truck is BON ME and serves Vietnamese inspired-cuisine. I’m so excited for Ms. Ali!! If you feel strongly about what Ali has described above, please vote for her food truck BON ME. I'm really considering eating less gluten, but don't know much about it and worry I won't pick the right foods. Can you write a blog about what gluten-free foods you eat? I'm looking for some sensible meals. Mrs. Q, I hope you can also follow up to address some of the concerns that Ali notes. I know there isn't a food truck competition in my area, but it has me thinking about what I could do here. Sad that she's right, no one listens! I'm so glad that you are feeling better cutting down on gluten. Just a tip– you might want to do some research on any medications or vitamins (over the counter or prescription) that you might take because they often contain undeclared gluten and could be a hidden source of making you sick. @ Anonymous at 10:24– your best bet for starting gluten free is by eating things that are naturally gluten free, like meats, cheeses, fruits, veggies, potatoes, rice, some yogurts, etc. It sounds like Ali has more latitude than many (if not most) lunch ladies. 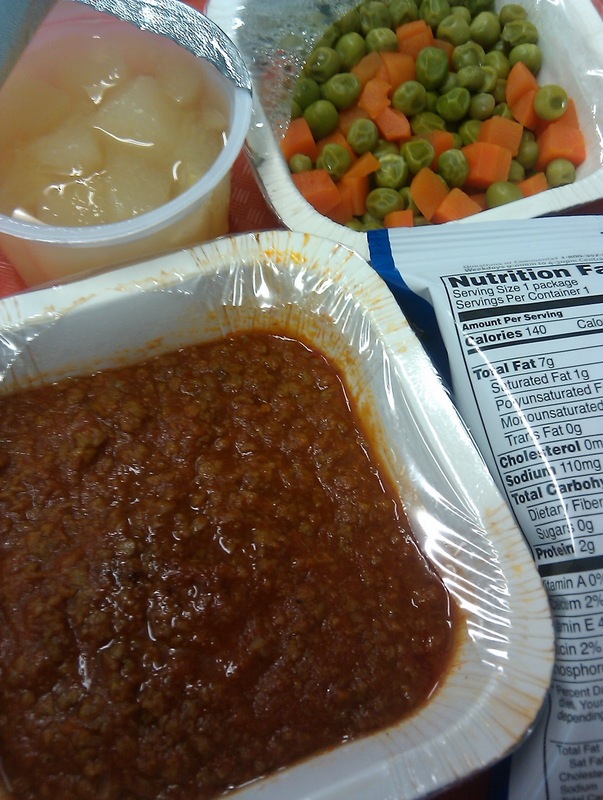 The more people learn about the benefits of giving lunch ladies a say in the way lunch programs are run, the more other schools are likely to embrace the concept. I know it's a frustrating process and often feels like you're talking to a wall, but parents need to hold up examples like Ali's school to their own kids' school administrators to show them what is possible. Ali, I love that your school is trying composting this year! I'm keeping my fingers crossed that it works out and becomes a permanent way of handling food waste at your school. I also went to the City of Boston's site and voted. Congratulations on making it to the finals! My son was recently diagnosed with wheat, egg and dairy allergies. It led to quite the journey for me as the Chef of the House. I have noticed a big change though for him and during the challenge phase have found that he was most bothered by wheat. I assumed, incorrectly, it would be dairy that was his main culprit for his high mucus and urgent runs for the bathroom. Nope, it was wheat. Good luck cutting out the gluten from your diet Mrs. Q, I hope you continue to feel better and better! That's so great that you're feeling better when you go gluten free! I think gluten-sensitivity is an under-diagnosed condition. And it's surprising what things can contain gluten (soy sauce, and sausages for example). At the same time, I think gluten's gotten a bit of a bad rap as of late. If one is sensitive to it, definitely stay away, but for those that can process it, I don't think there's anything inherently bad in gluten. Somewhat like lactose, I guess. And certainly many healthy foods have gluten in them. But, given that giving up gluten often means avoiding processed foods, I guess the side-effect is that one ends up eating better! That meal does look good. I'd rather see a salad with that meal than the carrots and peas. That way it would really be more like tacos. I'm glad that you are feeling better. I also love to know that Ali is trying to make changes in her cafeteria.